Overhead cranes are used to aid in the building and repair of machines and materials, particularly within factories, and any well-outfitted fabrication shop will have them at their disposal. An overhead crane runs on rails attached to ceiling beams laid out as parallel runways. The moving section, known as the trolley, includes a hoist, which lifts objects. The trolley, which is carried by a bridge that is perpendicular to the rails, is attached to a wire rope hoist, which allows for easy load handling and safe operation. These machines are such a common site in fabrication shops today that it is difficult to imagine the industry without them. Finding a fabrication company with these cranes is essential if you want your project completed efficiently. The industrial revolution of the 19th century introduced a series of innovations that laid the foundation for modern cranes, starting in Germany as early as 1830 with Ludwig Stuckenholz. His innovative company later became Demag Cranes, still a thriving company. A huge innovation arrived in the early 1960s with hydraulic gantries, which were useful in lifting tall equipment. Today customization has become a key factor that allows these machines to further evolve for specific needs, such as handling up to 400 ton loads. There are a wide variety of overhead cranes, but most of them fall into one of the following four configurations. Here we are excluding the less-common gantry cranes and jib cranes, which include booms similar to what you’d see on mobile or construction cranes. In some applications only a trolley hoist is needed. Overhead cranes are nothing like the construction cranes used to build skyscrapers or bridges. 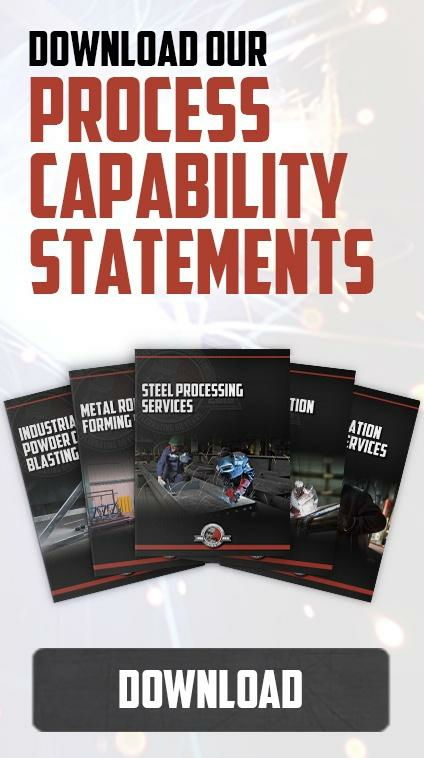 Instead, they are often used in steel or other metal manufacturing, along with maintenance applications within a huge industrial facility. Gantry cranes can be used for multiple purposes including outdoor applications. What separates a gantry from overhead cranes is that the bridge that carries the trolley is supported by two or more sturdy legs. The general concept of most overhead cranes is based on a trolley with wheels that moves across a bridge supported by runway rails on runway beams. Extending from the trolley is a hook block hanging from wire rope. The hook block is what lifts objects that are then transported by the trolley. Crane operators use radio control devices to move objects, but cab-operated cranes have cabs at the bridge or trolley that seat an operator. All crane operators and their employers in America must comply with federal safety standards set forth by the Occupational Safety and Health Administration (OSHA), a division of the U.S. Department of Labor. Thanks to stricter regulations and better enforced safety standards of the past several decades, there has been an enormous reduction in on the job injuries. It has also led to safer and more reliable equipment. One of the most important aspects of safety inspection is making sure the wire rope is in top shape and doesn’t have any kinks or damage. Inspection of the drum, in which the wire winds around, is also important for safety, along with inspecting the hook and its latch for weld marks, cracks or deformities. The crane includes brakes for better control at slowing down the trolley. Operators are not allowed to exceed the load-tested capacity of the cranes they use. Overhead cranes are very practical for moving items used to manufacture metal products, especially when high temperatures are involved. 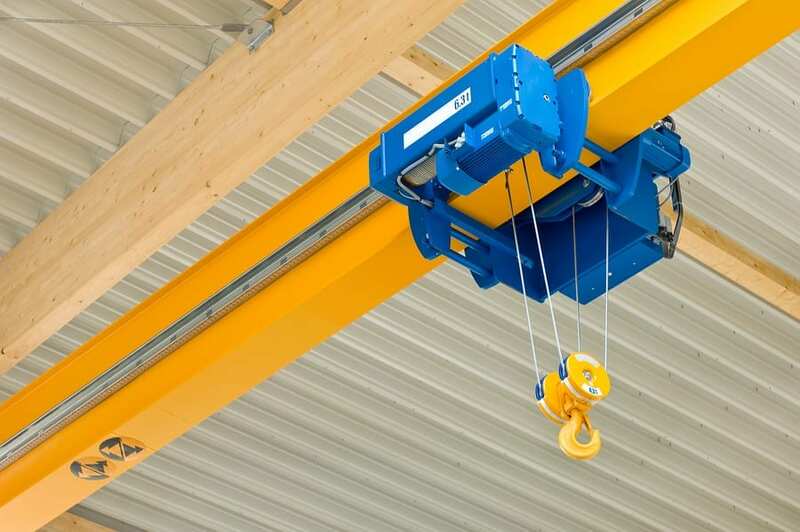 A typical overhead crane allows the operator to move the trolley with a pendant, which is suspended from the hoist as the operator walks alongside the load or on a platform that allows the operator to move independently from the load. This allows you to do work without clearing aisles and provides maximum safety. 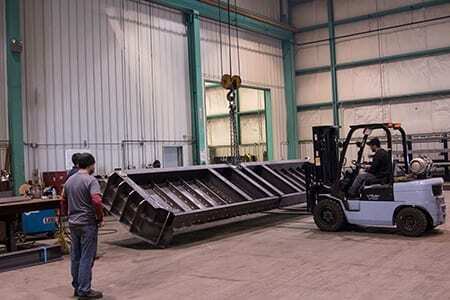 Cranes are also very customizable and adaptable and can handle heavy loads, as well as help increase productivity. 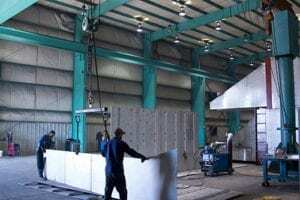 If you need heavy work done and your fabrication shop does not employ overhead cranes you may want to look elsewhere for help.